Like most home pizza bakers I've always lamented the puny 500-degree max on my oven. 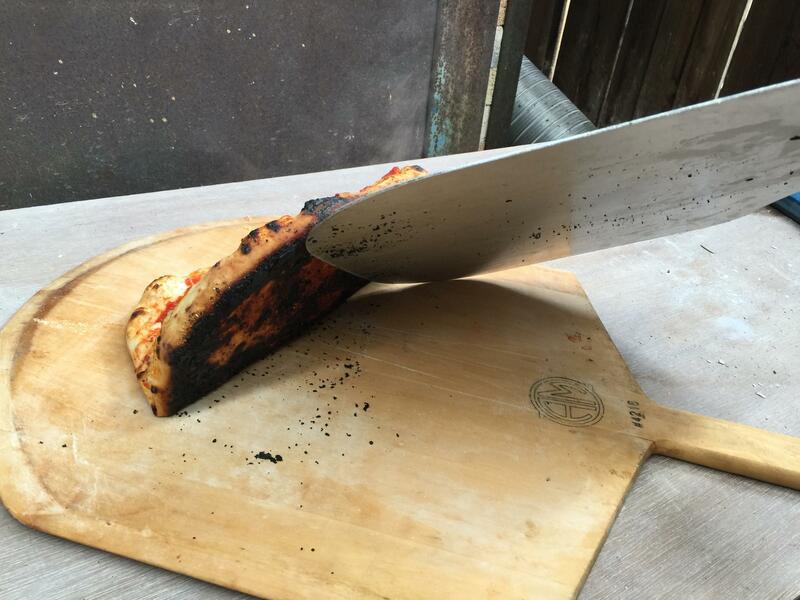 I've had good enough results using a pre-heated pizza stone, and later even better with my pizza steel, but still I dreamt the impossible 800-degree dream. The dream came true recently at West Seattle's Brace Point Pottery. 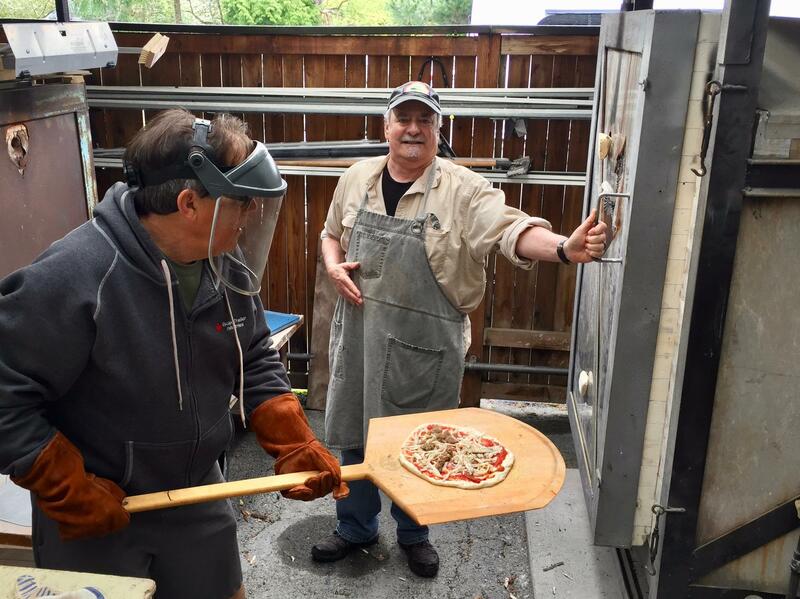 DeGroot and I have known our friends Loren Lukens and Beth Kirchoff at BPP for many years, but it had never before occurred to me that a pottery kiln might be repurposed to pizza. Turns out it could and we did. Nancy Leson and I arranged to meet at Brace Point along with 10 test eaters. We arived with supplies for about 12 pies. Faced with the prospect of unlimited heat I greedily opted for 1,000 degrees Fahrenheit for our first foray. Thirty seconds later, we removed the incinerated disk. The back to the drawing board pie. OK, maybe that was... excessive. Dropping the temp by about 200 degrees for a 60-second bake produced a perfect bottom but raw top. Here's how we solved that problem. We hit the sweet spot at about 735 degrees and 90 seconds. From there it was pizza paradise for the assembled multitude. I've never before been able to get that top char at home. Any pro pizzaiolo will tell you it's better to stretch the dough than roll it. I'm still perfecting my dough-tossing skills, but the Roberta's recipe I use produces a very slack, easily stretchable dough. 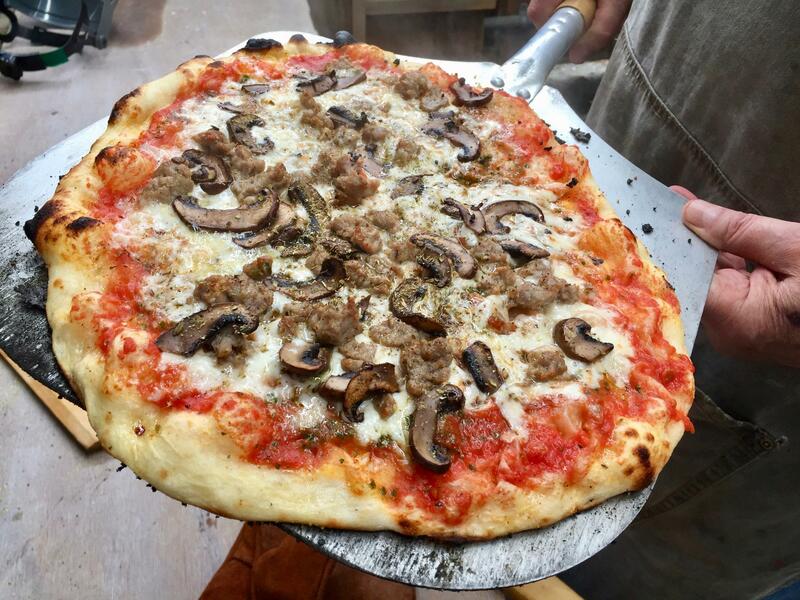 Nancy likes the method used by Ken Forkish of Portland's Kens Artisan Pizza on his YouTube Elements of Pizza channel. For sauce I used some leftover red "gravy" I'd made a few days before. Nance just buzzed Italian canned whole tomatoes with a stick blender and a little salt. I thought hers was not only easier to make, but better suited to pizza. It turned out to be a great afternoon with not so much as a perfectly charred crust left over. Home pizza-makers: don't despair of your oven. Make friends with a potter. 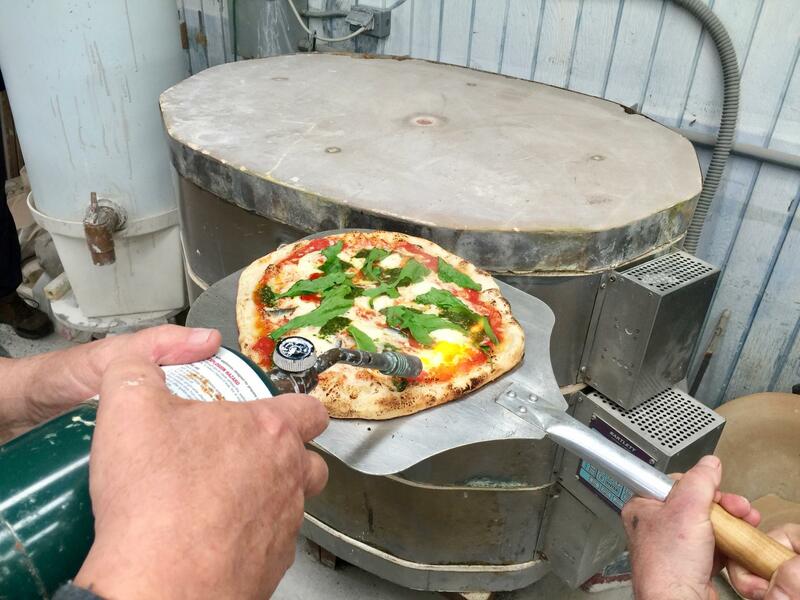 *Don't waste your money on one of those fancy "gourmet" kitchen torches. Just head for the hardware and pick up a Bernzomatic. They're cheaper, last longer and more powerful.